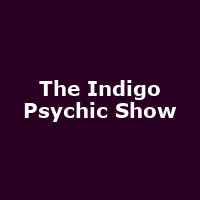 "The Indigo Psychic Show lasts approximately 3 hours. The first 2 hours we like to encourage the audience to interact with us, which in turn will raise their energies. We will then demonstrate the use of Tarot cards, Crystals and Ribbons to convey messages. Ribbons- By the colour of ribbon you chose, we can tell you how your inner well-being is working. Crystals- By holding a crystal in your hand, it will absorb your energy to enable us to read your vibrations. Tarot card- By picking a card we can use the ancient method of insight to read the past present or future. After the demonstrations we will take a short break and then end the show with the Clairvoyant section, where received messages from departed loved ones, are delivered to the audience. After the show we will interact with the audience once more to raise their energies to leave on a high."